COMING SOON! 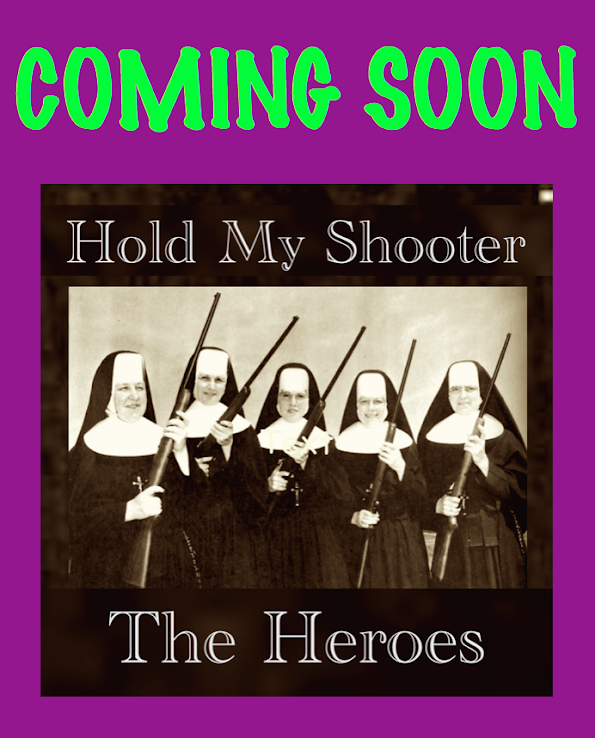 "Heroes - Hold My Shooter"
Coming to Bandcamp and Noisetrade very soon!! Unheard tracks from Border Raiders sessions, and clean takes from Reasons For Reverse sessions..
A charming graphic-aid introducing the comely holders of said shooter! !